"WOW! Filters" is the best place to discover,and read reviews about the best and trending Instagram face filters, 3D makeup, face masks, and camera effects. Our online web app makes it easy to find amazing Instagram selfie augmented reality (AR) filters which you can try on yourself. You can preview the 3D face filter in an image and video, and with just one tap, the Instagram app will open where you can view the camera effects in IG app itself on your Android or iOS mobile phone. I am reviewing those filters that we like using the most and ones that we think many of you will enjoy using as well. As a person who reviewed many augmented reality apps before, I share my own opinon on how these IG custom filters can be improved, bringing up their unique design features and make sure they don't go unnoticed. 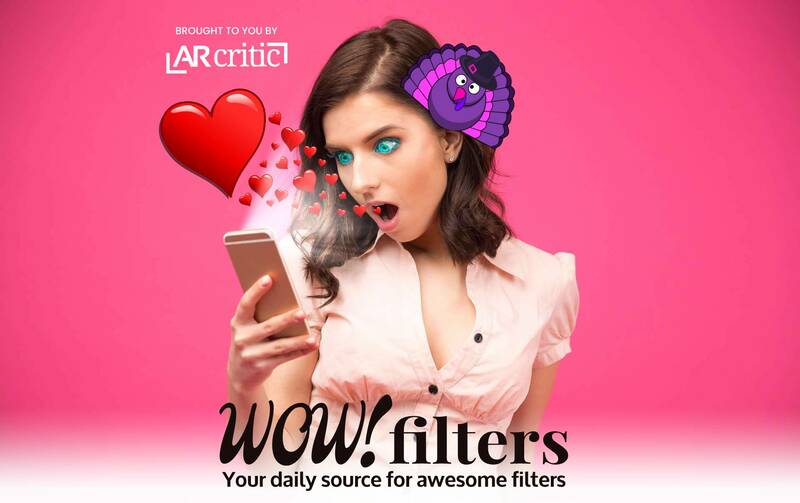 We also credit the creator of those Instagram filters done using Facebook's Spark AR Studio software, so you can discover more filters created by those same creators/developers. WOW! Filters is currently in beta, and we are working to add more features but the core idea is reviewing the top Instagram filters, face masks and camera effects to inspire both users and creators alike. If you enjoy this website, please don't forget to share it with your friends and help spread the word - Thank you! 2019 © WOW! Filters - New Instagram filter discovery website and custom filter reviews. All other trademarks are the property of their respective owners. All the filters reviewed here were developed by their respective owners and are credited to encourage users to follow their profiles and try out all of their other filters. WOW! Filters is not affiliated in any way with Instagram. It's a fan-based website. Disclosure: wowfilters.com website is a participant in the Amazon Services LLC Associates Program, an affiliate advertising program designed to provide a means for sites to earn advertising fees by advertising and linking to amazon.com.